This weekend I was doing a computer job at Villas Pappagallo Condos. 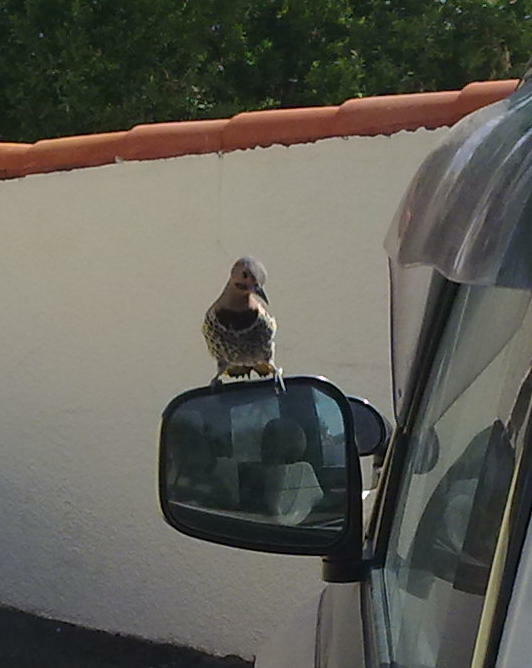 When I came out, this bird was admiring himself in my rear view mirror. I took a few pics and made this very short video with my phone camera. Eleven seconds, that’s how long this very short video is, and there is sound! In other news, we are having problems with our internet connection, our modem light keeps going from green to red, back to green.. back to red… I’m pretty sure it’s the phone companys problem, or a bad modem. VERY annoying, we have to watch the modem, wait for the light to turn green, then click the link and hope the page has time to load before the light turns red again. And last night I finally got to root for my Fathers New York Giants as they beat Dallas. It was a really good game, but I didn’t stay up much past halftime, I went to bed. Of course, since I wasn’t watching, the second half was much better than the first. I thought it was one of the best games of the season myself, that doesn’t mean I’m losing sleep over it though. I do not know where this weekend went. I can’t believe it’s Monday already. 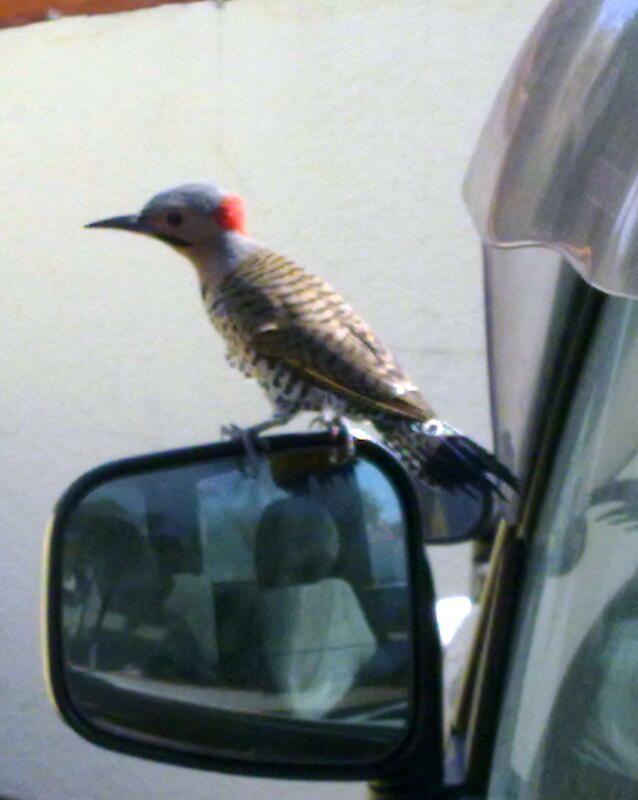 The bird is a Northern Flicker, a migratory bird that visits this time of the year. Love those encounters, you are lucky!! !